This navy t-shirt features a prowling tiger motif printed across the front and the ZSL logo on the sleeve. The tiger t-shirt is made from 100% cotton with a classic crew neckline and a relaxed fit. Wear it on a casual day with your favourite pair of jeans and matching hoodie. 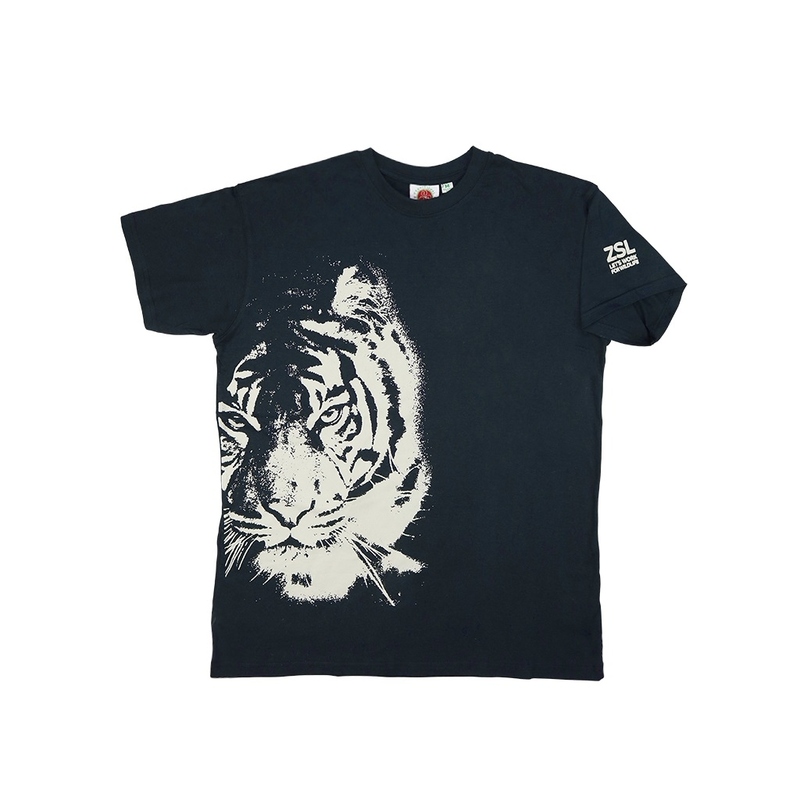 This tiger t-shirt is an exclusive, original ZSL design. Your purchase will help support ZSL’s mission, which means you’re helping to protect wildlife!